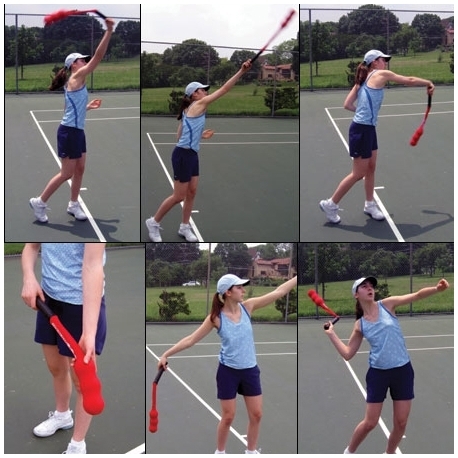 The Serving Sock helps players improve the rhythm and fluidity of their serve. Corrects uneven and awkward serving motions. Just swing the Serving Sock like a racquet and avoid hitting your back. If your swing is fluid it won’t. Also try tossing a ball and hitting it with the sock! 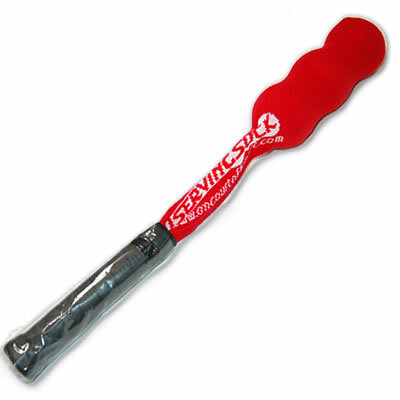 Like all kinesthetic training aids, swing the serving sock 10 times without the balls hitting your back to get a better feel for the service motion. Then serve with a real racquet; repeat back and forth as needed.